Traces of Gothic art are still to be found of the left-hand side of the Cathedral, which, having been constructed during the 11th century on the site of a Roman temple, was already radically modified in the middle of the 14th century.The churches of St. Dominic (1424), with its incomplete facade and ogival portal on the left-hand side, of St. Mary Maggiore, dating back to the Gothic era but adorned by a Renaissance facade, and finally that of St.Francis with its poligonal apses (1273), remodelled in the first years of the 18th century, complete the panorama of the town's religious buildings. 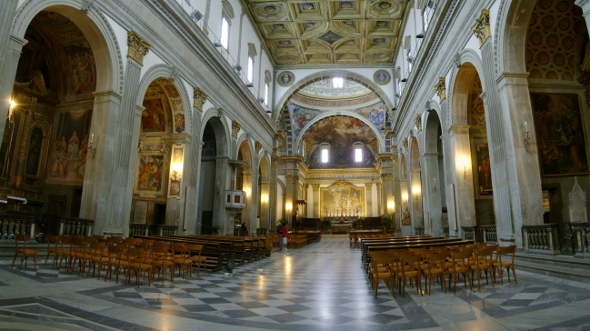 The Municipal Pinacoteque contains works of art by Raffaello, Signorelli and Domenico Ghirlandaio, apart from others by Umbrian, Tuscan and Marche schools. Città di Castello lends his name to a great artist of the twentieth century: Alberto Burri (Città di Castello 1915 - Nice, 1995), one of the greatest exponents of informal Italian. The Fondazione Palazzo Albizzini "Burri Collection", established in 1978 by the same Burri, owns the only existing comprehensive collection of works by the artist exhibited in Città di Castello in two museums: Palazzo Albizzini and Ex Tobacco Drying. 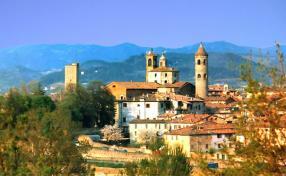 There are some last minute offers for vacation rentals and hotels in the areas of Città di Castello! Click and Consult them immediately.